The Sparks combination of experience and innovation provides creative, custom fabrication solutions to improve your belting productivity. Sparks does it all - splicing, lagging, lacing, v-belt tracking, edging, numerous cleat designs, polyurethane covers and coatings. Whether you need a simple lace or a complex custom polyurethane mold, Sparks can manage the entire project. 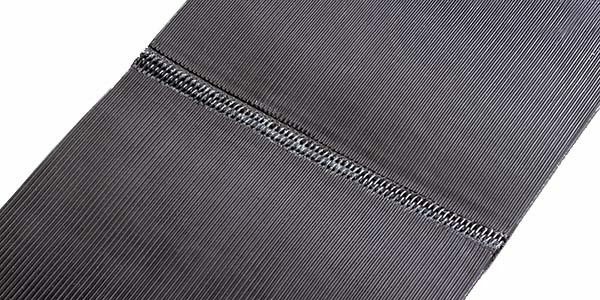 For Step Splicing, opposing steps are fabricated in each end of the belt so they match up perfectly prior to bonding together. 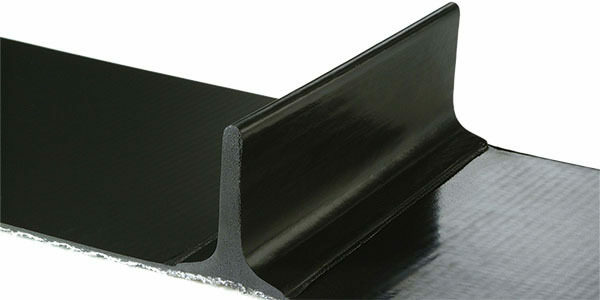 Preparing the steps on a bias provides an increased surface area of the splice which results in greater adhesion and a stronger seam. 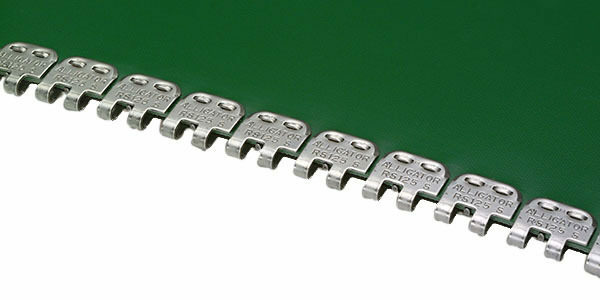 The regular Alligator® lace is particularly well suited for most belt lace applications requiring additional strength at the seam. Easily installed on conveyor system with minimal tools required. 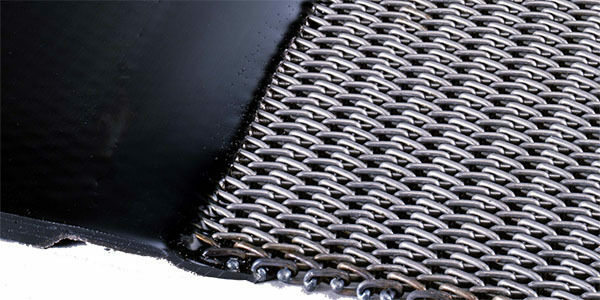 The Alligator® Staple lace is particularly well suited for punishing belt applications conveying heavy, bulky and irregular materials. Clipper® laces are available in both wire hook and wire hook common bar configurations for maximum strength and minimal belting material displacement. Ideally suited when small pulley diameters are required. 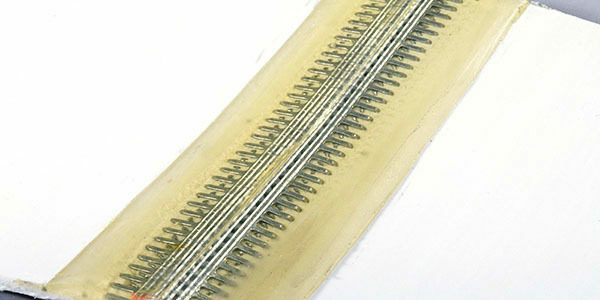 Plastic spiral loop and hinged plate lacing is available for use with metal detectors or FDA applications. 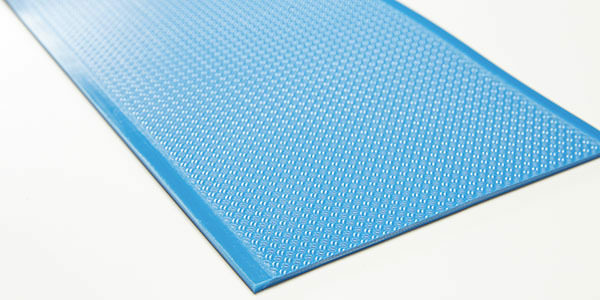 Sparks can custom fabricate polyurethane lace covers when belting surface finish is a concern. 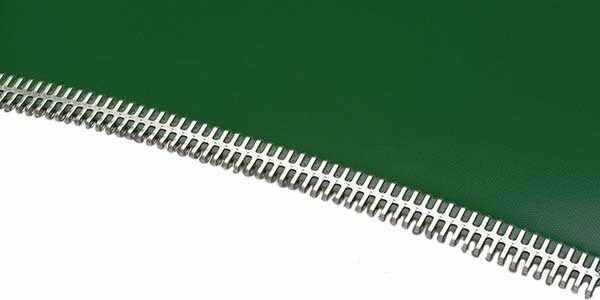 Continuous v-guides are thermo-welded, glued or cast on the bottom side of the belt and matched up to corresponding grooves in the pulleys and conveyor bed for positive belt tracking. Cast urethane v-guides allow tighter control of both lateral and longitudinal belt tracking as well as greater speed control, and will never delaminate from your belt. 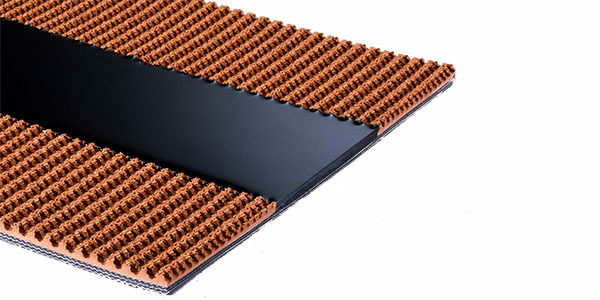 Sparks can custom cast segmented polyurethane v-guides for special tracking applications. Rib Cleats typically feature 1/8" high ribs on approximately 1" centers. 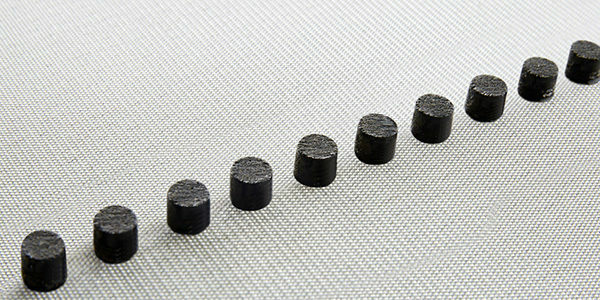 Sparks Rib Cleats are FDA/USDA approved and are used extensively for fish and meat products as well as dough dividers in bakeries. 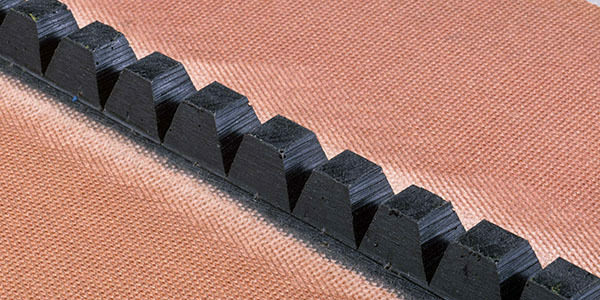 Black T-Cleats are bonded onto the surface of base belts and are ideal for general light to medium duty incline conveying. 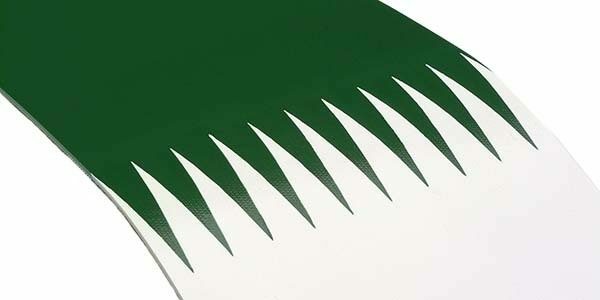 They are all available in White Buna-N, and Green or White PVC. 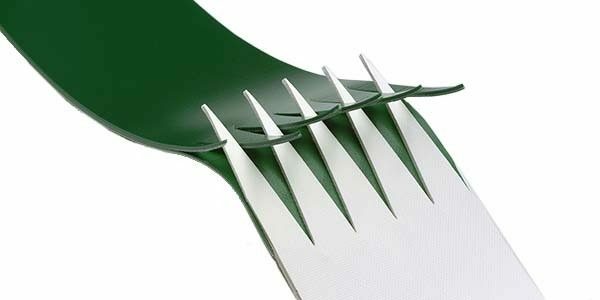 Angled Scoop Cleats are designed to position certain products in the middle portion of the belt. The cleats are cast in an arc and are available up to 2" high. 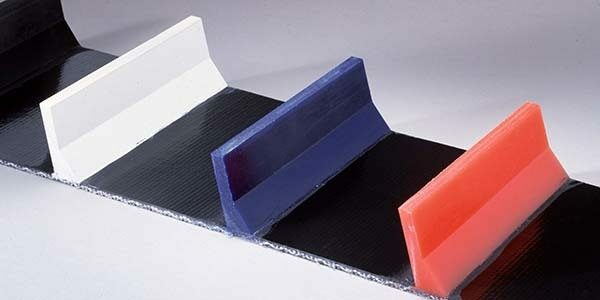 Super Cleats are built into the conveyor belt itself for the ultimate in durability and sanitation. There are no gaps, crevices or cracks to harbor bacteria or prematurely break. USDA approved. 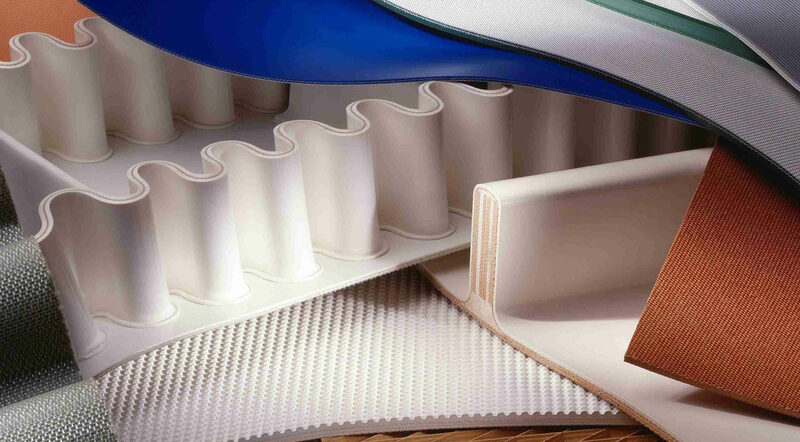 Box Cleats are designed for product containment on the belt. 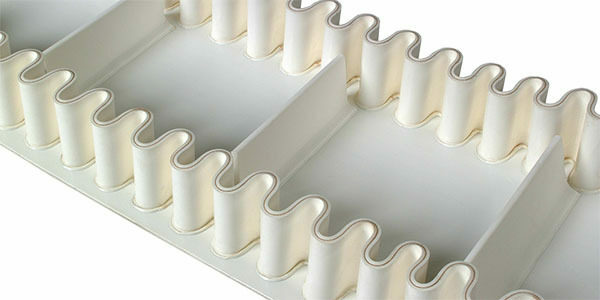 The box is cast in rectangular shape with the lengthwise edges siped or slit for flexibility. 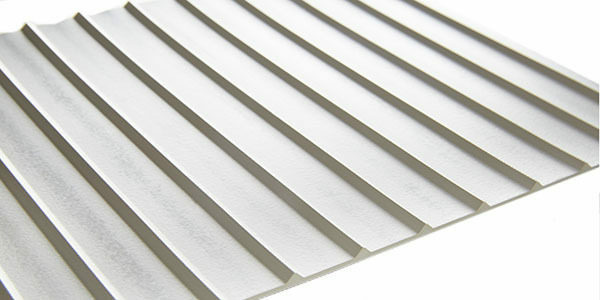 Corrugated sidewalls are longitudinal edge cleats designed to expand when flexing around pulleys. 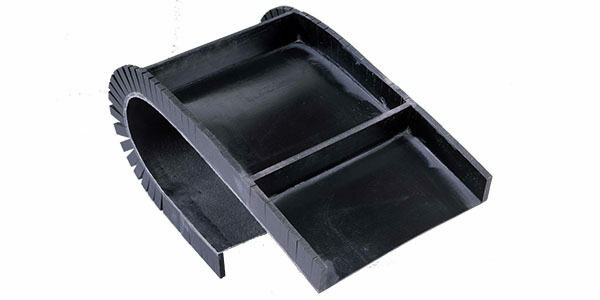 Ideal for containing powdered, granular, and other free flowing materials. 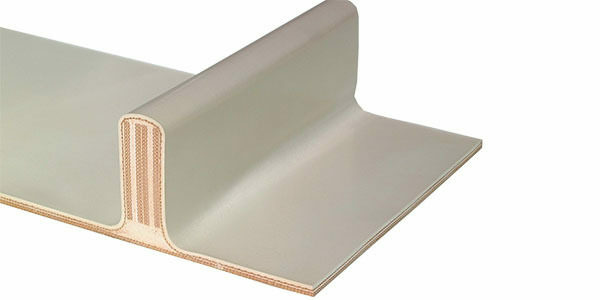 Capped edges eliminates edge fray, strings, wicking, bacteria contamination and moisture absorption. The edges and the sides of the polyurethane belt are both sealed. For USDA and 3A Dairy applications. 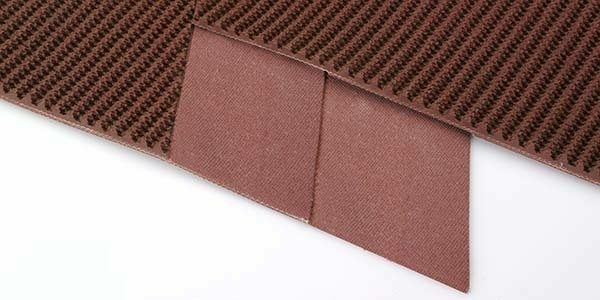 Sparks patented SOKITTOOIT polyurethane wear strips on the belts top surface prevent spot wearing. The strips need only be cast where the wear occurs. Ideal for cutting or abrasion problems. 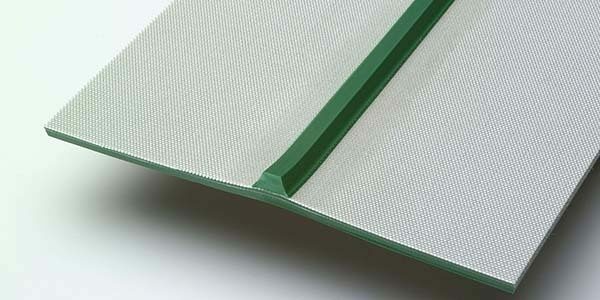 A smooth top cover, and capped edges are cast onto open mesh wire belt to provide an extremely durable conveyor belt. Used for "Coil Wrapper" application in the steel industry. 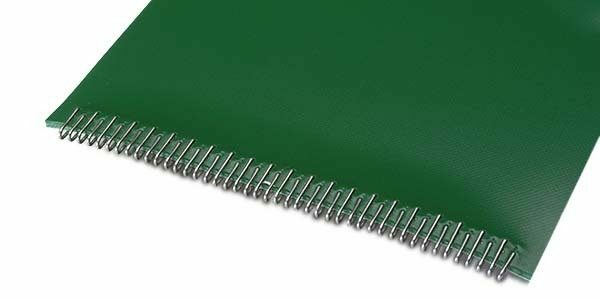 Urethane Covered Lace Joints are used to protect product from being cut, scratched or otherwise damaged by mechanical (laces) belt fasteners. 24/7 service & support every day. With 10 locations in the U.S. and Mexico, Sparks is a national company with regional centers offering customers fast turnaround, large inventory selection, on-site installations and support, all delivered with exceptional service.